Achieving growth is a shared goal for almost all businesses, but learning how to do it effectively can seem overwhelming in terms of resources and budget. The truth is that achieving growth doesn’t have to be complicated. When a properly developed strategy is implemented, you’ll begin to see how taking small, calculated actions will deliver the most effective and quickest results. Here are five small steps you can take towards growing your business in 2018. When planning a strategy for business growth, it can be extremely easy to rush into it because you think you’ll miss an opportunity if you don’t jump head first into delivering some type of marketing message. However, one of the most beneficial approaches towards achieving growth is to spend time researching all aspects of your market environment before launching anything. Once a campaign is out there it can be difficult – and often s expensive – to rectify so it’s best to plan ahead. 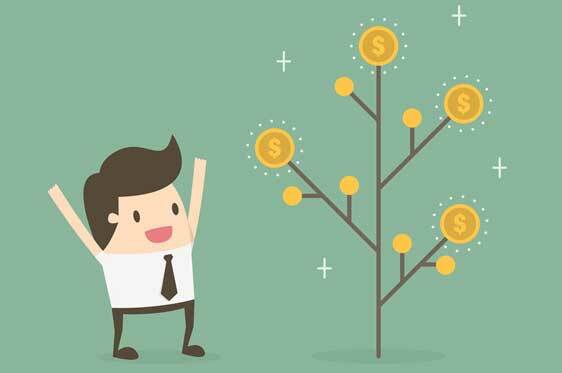 Now, you might be thinking, “I’m already producing plenty of branded marketing content” (e.g. blog posts), however, this might not be enough anymore. The way in which consumers are encouraged to engage with brands is constantly changing, meaning the type of content you’re offering has to evolve; otherwise you could be risking losing market awareness, conversions and, ultimately, sales. It is predicted that by 2019, video will represent over 80% of all internet traffic, so if you have been holding off with video content, now is the time to start. Also, considering that 70% of marketers plan to use video marketing this year, you cannot afford to be left behind. For example, Lowe’s Home Improvement have dominated video marketing in the DIY market through a variety of marketing platforms, such as YouTube, Facebook, Instagram and Snapchat. Their first video marketing campaign began through Vine, the social media app which shared user-created six second videos. It was here where they invested $5,000 in creating their ‘Lowe’s Fix in Six’ campaign, which was designed to bring useful home improvement tips to life. All the content was filmed via smartphones and required no editing, so the potential expenses for specialised recording equipment were eliminated. The campaign was a worldwide success, earning ten awards and over 15 million views from their target audience. Lowe’s also managed to increase their pricing by 65% after the success of the campaign, which has remained at that higher level ever since. Although Vine no longer exists, Lowe’s are continuing to make video marketing an essential part of their strategy through other social media and streaming platforms. This is a perfect example of how businesses can use video content this year to inspire and educate their target audience, which should encourage sales and even repeat business. This proves that any business can start creating video content, however, if finances are limited you could look into applying for a small business loan alternative from Liberis. When your customers shop online, it can often be difficult to replicate the same level of personalised service they would typically receive instore through your digital marketing material. Providing your online customers with a more personalised experience based on what you know about them is one of the best strategies for increasing engagement, sales and generating customer loyalty; in fact 75% of consumers now prefer businesses to use personal information to streamline their shopping experience. 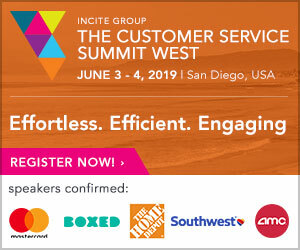 With consumer expectations for brands increasing, failing to offer a one-to-one experience could result in your business being overtaken by competitors who are making more of an effort to interact with their customers. If you’re already sending out emails to customers – great, but could you add more incentives for new and existing customers? Although personalised emails generate up to six times higher revenue per email compared to non-personalised emails, 70% of businesses are failing to use them. Customers can probably tell that your emails are automated, but you can still make them feel special! Including a name and providing special discounts/codes for individual birthdays works best for immediate purchases because they speak to desire and impulse. A previous study found that birthday and anniversary email campaigns can increase your conversions and sales compared to standard bulk emailings – almost five times for birthday mailings and six times for anniversary mailings. With only the click of a few automation buttons and the collection of a little bit of data, you can send customers emails that they will actually engage with. 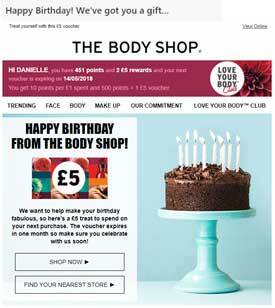 The Body Shop have personalised their emails to existing customers by sending £5 gift vouchers on their birthdays. They have also included a name and used the subject line to address that they are aware it’s the customer’s birthday. Including their calls to action (CTA) ’shop now’ and ’find your nearest store’, whilst informing the customer that the voucher expires within a month, will encourage them to use their voucher sooner and also provides The Body Shop with a great opportunity for upselling. An advantage of smartphones is they allow us to act on desire – users can take immediate action when they want to locate, research, or purchase something immediately; these are known as micro moments. Mobile devices also bridge the online and offline world. According to Google, 82% of smartphone users will turn to their phone to influence (compare prices, look for reviews), a purchase decision whilst inside a store, while 33% of consumers use their phone instead of asking for help from a member of staff in store. With consumer expectations increasing, and their patience diminishing, failing to provide easy access to key information that a consumer requires in a specific moment could be disastrous for profitability. By pinpointing your customer’s engagement path, you can start to create messages that will encourage them during those “I want” moments in the sales funnel. Micro moments can also be used to improve your marketing strategies to increase conversions, exposure and the overall quality of your customer engagement. One of the ways to market to micro moments is through Facebook Local Awareness, which allows you to create geo-targeted adverts to social media users who are near your business’ location. These can be personalised with a map card to promote locally relevant information about your business, such as the distance, directions and opening hours. You can also add a call-to-action button, where you can choose from available options such as ‘get directions’, ‘learn more’, ‘send a message’ or ‘call now’, allowing you to drive offline sales from online micro moments. 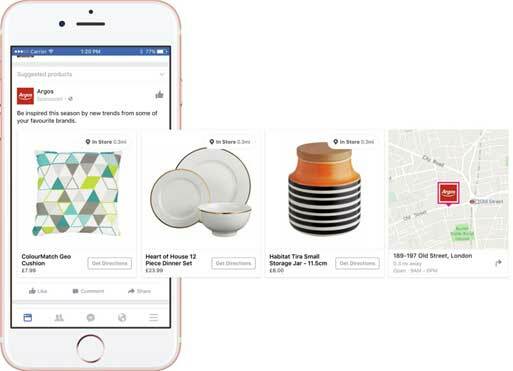 Argos have utilised Facebook Awareness to push in-store purchases by promoting their latest products with a ‘Get Directions’ call-to-action, which reveals a map to direct the user to the closest store. It also features similar products nearby and will automatically remove adverts if a product sells out. If you’re investing a substantial amount of budget and effort into running several marketing campaigns, determining whether and where you are receiving the highest return on investment (ROI) is crucial. Without testing your marketing material in the field, how can you possibly know whether you’re using the most streamlined and effective versions? Split testing (also known as A/B testing), is the method whereby two different versions of a marketing campaign, an app, or a webpage are evaluated against each other to identify which version is better at producing conversions and sales, whilst eliminating the risks associated with decision making, strategy and pricing. By implementing the higher performing variant you can avoid investing money into campaign versions that are under-performing. Testing variants of your marketing material helps to determine the factors which have influenced a visitor’s behaviour and which ones failed to. The most beneficial variations from your split testing can be combined to showcase the measurable improvement the new experience has had over a previous one. Let’s say an e-commerce fashion company wanted to improve the open rate and CTR from email marketing. To achieve this, they could reposition the call to action, change the subject line or alter some the imagery for the clothes they’re advertising. The version which generated the highest CTR, open rate and number of conversions can then be added throughout their future email campaigns to ensure their investment is producing the highest return possible. Rafferty Gifford is a Digital Marketing Professional at Liberis. 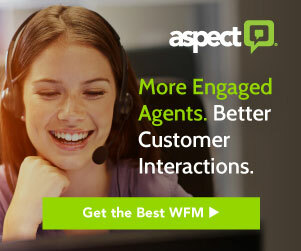 Next article: Does AI Mean the End for Contact Centres?